Endovenous laser ablation is the gold standard for getting rid of unsightly or painful varicose veins. The procedure is safe and its success rate of 98% is higher than most other methods for eliminating varicose veins. Gary E. Lane, MD, FACS, at Pueblo Vein Center in Pueblo, Colorado, has extensive experience performing endovenous laser ablation on-site. To learn whether you’re a good candidate for the procedure, call the office or schedule an appointment online today. Endovenous laser ablation, or endovenous laser treatment (EVLA or EVLT), is a minimally invasive procedure to treat varicose veins. Heat from the laser closes the vein and seals it shut, then over time the vein shrinks and fades away. Your body naturally reroutes blood flow to other veins, so you won’t have circulation issues. In fact, circulation becomes more efficient since your blood stops flowing backwards through the faulty vein. Why is endovenous laser ablation safer with the VenaCure EVLT®? At Pueblo Vein Center, Dr. Lane proudly uses the AngioDynamics VenaCure EVLT system to eliminate your varicose veins. The VenaCure EVLT ensures your safety and comfort with its innovative NeverTouch® gold-tipped laser fiber. The gold tip prevents the laser from accidentally touching the vein wall. With traditional bare-tipped lasers, patients are at risk for pain and bruising if the laser touches the wall. Another benefit of the gold tip is that it makes the end of the laser more visible under ultrasound. As a result, it’s easier for Dr. Lane to guide the laser through your veins and ensure your treatment is precisely delivered. Am I a good candidate for endovenous laser ablation? Most patients with varicose veins are good candidates for endovenous laser ablation. It's a medical necessity when symptoms such as pain, itching, swelling, or because they've developed complications like skin ulcers. There are only a few other health problems that would prevent one from being a good candidate. What should I expect during endovenous laser ablation? Endovenous laser ablation is performed in our procedure room at the Pueblo Vein Center. After using ultrasound to map your veins, Dr. Lane applies a local anesthetic and makes a very small puncture to create access for the laser. Using ultrasound, Dr. Lane can see your veins to guide the laser to the proper location. Injections of a local anesthetic are also delivered under ultrasound guidance. Once the laser fiber is in place and the area around the vein to be treated is numb, the VenaCure 1470 laser is activated and slowly pulled down to the vein. A controlled laser beam safely heats the targeted vein, which causes it to contract and close. The procedure usually takes less than an hour and doesn’t require any downtime. In fact, Dr. Lane encourages you to walk immediately after the procedure is finished. Once you leave the office, you can get back to your normal routine, with the exception that you should avoid rigorous activities for one week. 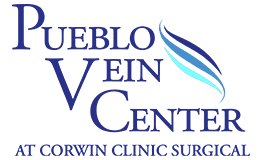 If you suffer from varicose veins, call Pueblo Vein Center or book an appointment online today.